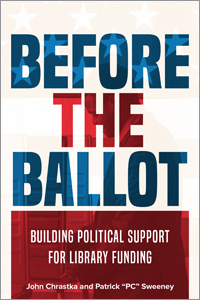 discuss the path to the ballot with practical insights about how to get onto the ballot. 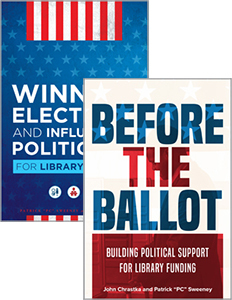 This essential resource is filled with concrete steps that librarians, library staff, and boards can take to ensure that political support is there when they need it the most. John Chrastka is EveryLibrary's founder and is a longtime library trustee, supporter, and advocate. He is a former partner in AssociaDirect, a Chicago-based consultancy focused on supporting associations in membership recruitment, conference, and governance activities. 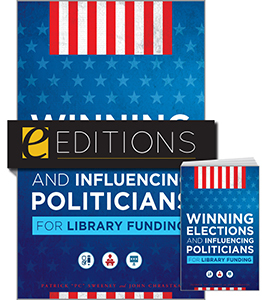 He is a former president and member of the Board of Trustees for the Berwyn (Illinois) Public Library (2006–2015) and is a former president of the Reaching Across Illinois Libraries System (RAILS) multi-type library system. Prior to his work at AssociaDirect, he was director for membership development at the American Library Association. 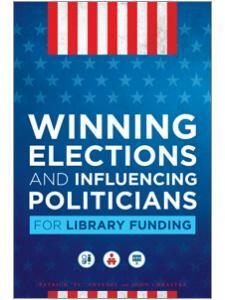 He is a member of the ALA as well as the Illinois Library Association and the American Political Sciences Association. He was named a 2014 Mover & Shaker by Library Journal and tweets @mrchrastka. 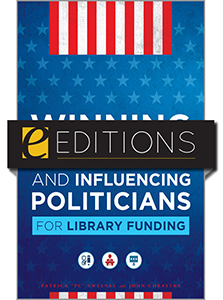 Patrick “PC” Sweeney is a tireless and innovative advocate for libraries and the current political director for EveryLibrary. 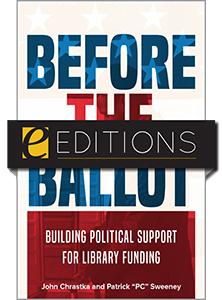 A 2007 graduate of the San Jose School of Library and Information Sciences, he is a former administrative librarian of the Sunnyvale (California) Public Library and was executive director of EveryLibrary California, a statewide ballot committee to support library ballot propositions. He is active in the California Library Association and across library social media as a cofounder of the ALA Think Tank. His library blog is well respected, and he is a sought-after speaker and presenter. A recent project, the Story Sailboat, worked to provide library services and materials—by boat—in the San Francisco Bay area. He was named a 2015 Mover & Shaker by Library Journal and tweets at @pcsweeney.